Get daily, The Hindu latest news updates & news headlines in English from The Tutors Academy. Assam government has released the second and final draft of the state’s NRC. Draft of National Register of Citizens (NRC) was published on July 30. A Press Communique [issued in Shimla] says: The increasing pressure on Telegraph service due to the expansion in traffic and the inability of the department to meet this expansion owing to the shortage in material and staff, have led the Government of India to decide that as further means of relieving the pressure on the department the tariff for ordinary inland private telegrams, should be increased from eight annas for a telegram of 12 words or less, with half an anna for every additional word, to a uniform rate of one anna a word with a minimum of 12 annas, and that the rate for express telegrams should be raised from one rupee for 12 words or less with two annas for every additional word, to a uniform rate of two annas a word with minimum of Rs. 1-8-0. (The Hindu latest news updates and current affairs, to crack all competitive exams like NDA, CDs, and Navy easily with The Tutors Academy). Rajasthan has become the first State in the country to implement the national policy on biofuels unveiled by the Centre in May this year. The policy on biofuels seeks to help farmers dispose of their surplus stock in an economic manner and reduce the country’s oil import dependence. 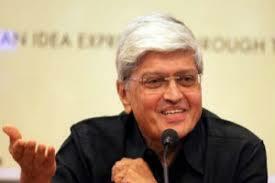 Former West Bengal Governor Gopalkrishna Gandhi has been chosen for this year’s Rajiv Gandhi Sadbhavana Award for promoting communal harmony and peace. The award carries a citation and a cash award of ₹10 lakh. Former recipients of the award include Mother Teresa, Ustad Bismillah Khan, Mohammed Yunus, Lata Mangeshkar, Sunil Dutt, Dilip Kumar, Kapila Vatsyayan, Teesta Setalvad, Swami Agnivesh, K.R. Narayanan, Ustad Amjad Ali Khan, Muzaffar Ali and Shubha Mudgal. Study daily, The Hindu latest news updates and current affairs with The Tutors Academy. The Modi administration on Tuesday appointed senior diplomat and now India’s Ambassador to Ireland, Vijay Thakur Singh, as Secretary (East) in the Ministry of External Affairs (MEA). Tata Motors has reported a consolidated net loss of ₹1,863 crore for the first quarter ended June 30, 2018, as compared to net profit of ₹3,199 crore in the same period last year owing to losses at its cash cow Jaguar Land Rover (JLR). 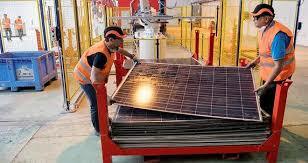 Core industrial growth accelerated in June to 6.7% on the back of a surge in the petroleum products and steel sectors. The steel sector also witnessed significant acceleration in growth to 4.42% from 0.7% in May. The crude oil and natural gas sectors both contracted, by 3.4% and 2.74%, respectively, in June. Growth in the cement sector touched 13.18% in June, up from 12.99% in May. Mauritius-based SBM Group (State Bank of Mauritius) has received Reserve Bank of India approval to operate in the country through a wholly owned subsidiary — the first foreign lender to receive such a licence after local incorporation was introduced in 2013. SBM, which has been in India since 1994, currently operates through four branches, in Mumbai, Chennai, Hyderabad and Ramachandrapuram. It plans to open six new branches in Delhi, Bangalore, Kolkata, Pune, Ahmedabad and Jaipur by next year. Bank of India posted an 8.5% rise in net profit at ₹95.11 crore for the quarter ended June 30. (The Hindu latest news updates). An international arbitration tribunal has rejected the Indian government’s claim of $1.55 billion against Reliance Industries and its partners (Reliance, BP & Niko (consortium)) for allegedly siphoning gas from deposits they had no right to exploit. The panel headed by Singapore-based arbitrator Lawrence Boo rejected the government’s demand that Reliance and its partners BP plc. of U.K. and Canada’s Niko Resources pay for “unfairly” producing natural gas belonging to State-owned ONGC. Refractories are non-metallic materials having those chemical and physical properties that make them applicable for structures, or as components of systems, that are exposed to environments above 1,000 °F (811 K; 538 °C).” Refractory materials are used in furnaces, kilns, incinerators, and reactors. Cybersecurity firm Symantec Corporation has opened a Security Operations Center (SOC) in Chennai. The North Delhi Mayor inaugurated a sanitary napkin vending machine at R.M. Arya Girls Senior Secondary School in Connaught Place. A release issued by the North Corporation said the machine was installed by the CSR Foundation, which works in the area of women’s health, in association with the Oil and Natural Gas Corporation (ONGC). CITU – Centre of Indian Trade Unions, CITU is a National level Trade Union in India politically affiliated to the Communist Party of India (Marxist) as its trade union wing and is a spearhead of the Indian Trade Union Movement. Apprise – inform or tell (someone). Study daily, The Hindu latest current affairs and news headlines, To crack all exams of NDA and CDS easily with us.